How many times do you find yourself forgetting things or you are at a loss for words? Do you ever wish you were more mentally clear and focused? Do you have difficulty relaxing enough to get a good night’s sleep? Have you found that when you are feeling stressed, it makes matters even worse? It is well documented that stress effects memory, concentration and wellness. Stressful situations trigger the body to release adrenaline and cortisol. Adrenaline increases heart rate, respirations and blood pressure, which for a sustained period of time can create anxiety and interfere with memory. The release of cortisol can interfere with learning and memory, increase cholesterol, insulin resistance, cardiac disease and cause weight gain. There are multiple approaches to alleviate the symptoms and causes of stress. Specific herbs can be added to your group of holistic aids when handling stress. Herbs are plants used in food preparation, essential oils, and fragrances. Then there are herbs used in medicine and healing. This article will focus on some of the anxiety and stress reducing herbs classified as adaptogens and nervines. According to Ayurvedic and Chinese medicine, adaptogens are an effective solution in helping the body to adapt or cope more easily with the negative effects of stress. They can help support a healthy immune system functioning, improve focus, memory, and energy. Adaptogens can help heal adrenal fatigue, promote calm and restore hormonal balance. The following are 4 herbs for stress relief. This is an adaptogen herb that is commonly used in cooking. However, to be used to reduce mild stress, it must be inhaled either as fresh rosemary leaves or as an aromatherapy essential oil. By inhaling it’s essence, it has been shown to decrease cortisol levels and trigger the relaxation response. You can combine inhaling the scent of rosemary with some form of relaxation like gentle yoga, tai chi or qigong for a deeper effect. Rosemary is a powerful antioxidant that helps protect the body from toxins and stress. As you breathe in the smell of rosemary, it is thought to increase blood supply to the brain and improve circulation. This can result in enhanced attentiveness, concentration, and long term memory and efficiency. It has shown to be effective in reducing anxiety levels associated with highly stressful situations. Viewed as one of the most important herbs in Ayurveda, Ashwaghanda has been traditionally used as a rejuvenator to support the immune system and to enhance bodily and cognitive functioning to maintain youth. Also known as Indian ginseng and winter cherry, it helps ease anxiety and stress by lowering cortisol levels. It helps to lessen fatigue and depression, and energize the body. A brain enhancing herb, it supports mental clarity, memory and elevated mood. Ashwaghanda can be prepared as a tea or taken as a tablet, capsule, extract. It can also be ingested as a powder mixed with foods or beverages, like warm milk before bedtime. Holy Basil, or Tulsi is an adaptogen from the mint family that can be used on a daily basis to help reduce stress and improve memory. It has been known to improve cognitive functioning and memory by helping supply the brain with more oxygen. After a hectic, stressful day (yes, I have them too), I love a cup of hot Tulsi tea with organic honey. I find it very calming, soothing and relaxing before my evening meditation. Studies have shown that 500 mg of Tulsi twice a day reduced anxiety, stress, and depression substantially in test subjects. Other studies reveal an improvement in sleep. Recent research reports that it aids in a healthy immune system and protects the tissues and organs from prolonged exposure to heavy metals and industrial pollutants. Ginseng root can be included in recipes like soups, eaten cooked or raw, or made into a tea. Ginseng extract comes in capsule, tablet and powder form. Nervines help reduce muscular tension caused by the body’s stress response. These soothing herbs encourage relaxation, calm the mind and nourish the nervous system. The following are three readily available nervine herbs. Known as a herbal tea that calms a person down, chamomile is an antidote for stress relief and anxiety. It is uplifting and can improve mood. Sipping chamomile tea before bedtime has calming qualities to relieve mental stress, promote relaxation and support good sleep hygiene. Lavender is a delicious smelling herb that can relax the body and mind almost immediately when inhaled. Studies show smelling lavender can help ease anxiety and stress by decreasing the stress hormone, cortisol. The essential oil form of lavender can be applied to a bath, candles and inside a pillow case to promote a restful night’s sleep. A powerful mood elevating herb, lemon balm comes from the mint family of the plant world. It can help alleviate the mood altering symptoms associated with seasonal affective disorder, or S.A.D. Anxiety and stress levels can be reduced. A 2011 study of adults with mild to moderate anxiety and sleep disturbances were given 300 mg of lemon balm twice a day for 2 weeks. The results revealed that lemon balm reduced anxiety by 18% and lowered insomnia by 42%. Lemon balm makes a wonderful citrusy tea. The leaves can be blended with chamomile or lavender tea to add a hint of lemon. Use the leaves to make lemon balm infused water. This herb is a great addition to recipes. 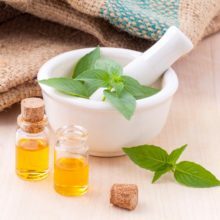 It’s important to check with your primary care provider, if you are pregnant, breastfeeding, a child, or taking prescriptions medications before using adaptogens and nervines, to avoid any side effects. Certain herbs cannot be combined with certain drugs. For instance, chamomile needs to be stopped 2 weeks prior to surgery for it can interfere with the drugs used in anesthesia. Taking herbs that lower blood pressure or heart rate while taking medications that do the same can cause the blood pressure or heart rate to drop to dangerously low levels. Naturopathic doctors are familiar with these interactions. Some people can react to these plant herbs with allergies or gastrointestinal disturbances. Also note that memory loss can be a sign of stress but also a sign of a more serious condition. Always consult with your primary care provider if your memory loss is severe. Using herbs to reduce stress and anxiety is an ideal approach to support mental, emotional, physical and spiritual wellness. Some adaptogens and nervines produce quick results while some may take weeks or months to take full effect. It’s important to recognize that using adaptogens and nervines is not in place of lifestyle and behavioral changes to cope with chronic stress. These herbs are meant to support you, while you discover, reduce or eliminate the root cause of the stress. When I work with clients, we uncover these root causes, find solutions and build resilience. These medicinal herbs help support balance during this process. 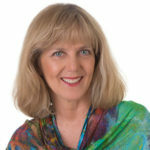 Jan Kinder, RN, BA, HN-BC, HWNC-BC, CMT, a leader in the wellness paradigm and the healing arts, is a board-certified holistic nurse and health and wellness nurse coach, international speaker and author. Her private practice specializes in holistic stress solutions and resiliency, meditation and spiritual mentoring, and vibrational sound and color therapies. She is a transformational leader and among the first certified Chopra Center instructors. Ms. Kinder has been featured in publications like Palm Beach Illustrated, Travel and Leisure, Organic Spa, The Wall Street Journal and LA Confidential. RELAX AND RENEW WITH MY FREE GIFT! Provide your information below and receive your FREE Chakra meditation PLUS my tips to inspire wellbeing, resilience and purpose. I agree to Jan Kinder collecting/storing my name/email address (kept private). You may unsubscribe at any time. Copyright © Jan Kinder 2019. All rights reserved.